Stainless steel case with a grey silicone strap. Uni-directional rotating grey ion-plated bezel with compass markings. Grey dial with luminous hands and index hour markers. Tide markings. Temperature scale. Minute markers around the outer rim. Dial Type: Analog. Luminescent indiglo. Date display at the 6 o'clock position. Quartz movement. Scratch resistant mineral crystal. Screw down crown. Solid case back. Case diameter: 42 mm. Case thickness: 13 mm. Round case shape. Band width: 20 mm. Tang clasp. Water resistant at 100 meters / 330 feet. Functions: date, hour, minute, second, tide, temperature. Casual watch style. 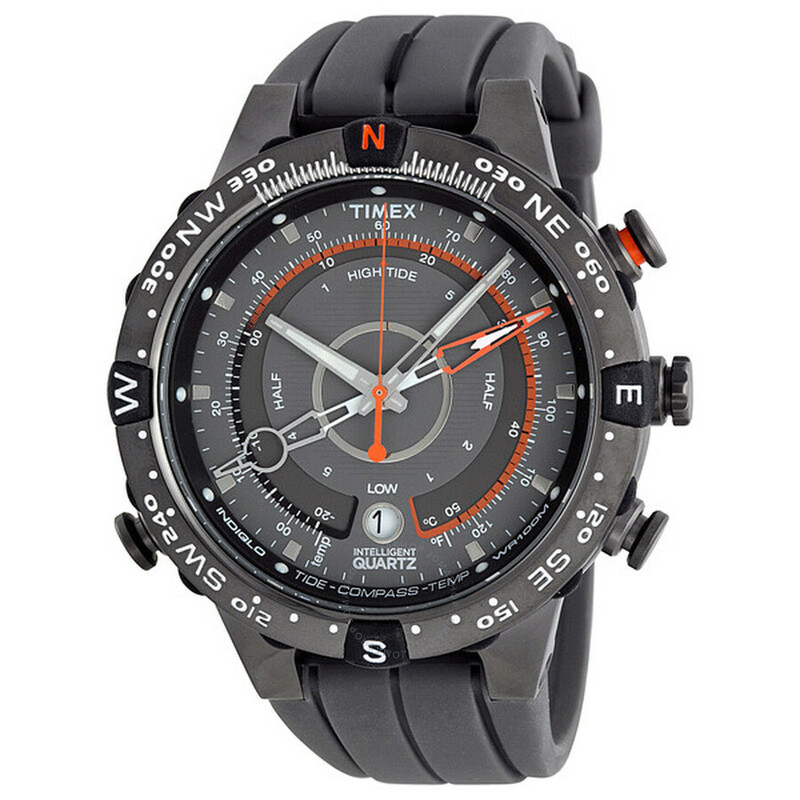 Timex Intelligent Quartz Compass Tide Temperature Men's Watch T49860.